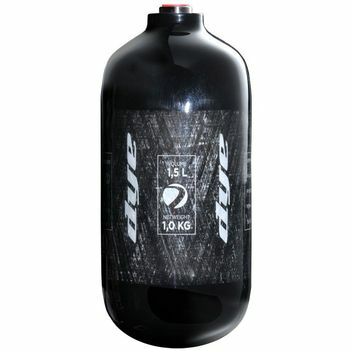 Dye Core Air Tank 1,5 Liter HP (demonstration-model) - This Item has some scratch. Fully functional. The DYE Core air tank is a composite bottle with a stainless steel core. Still it is light, small and Pi approved. The Volume of this bottle is 1.5 liters (90ci) with 4500 psi (300 bar). It comes without a regulator. Question about "Dye Core Air Tank 1,5 Liter HP (demonstration-model)"